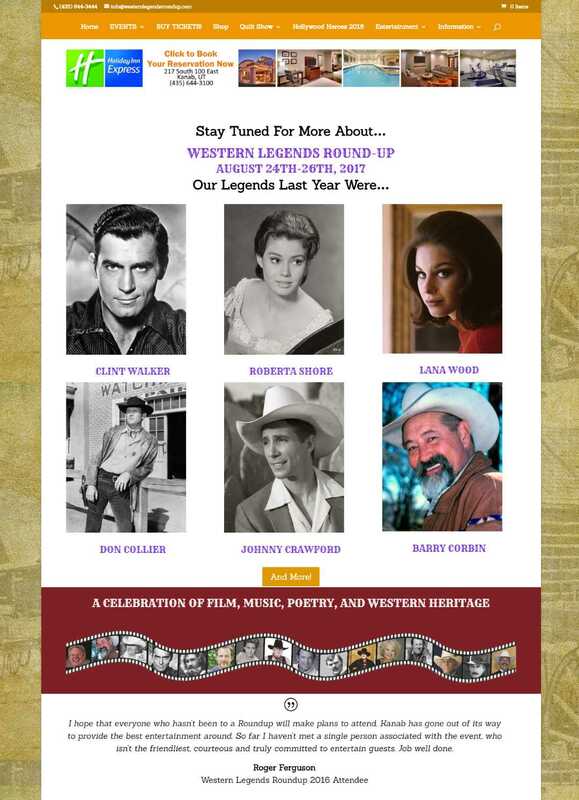 Western Legends RoundUp is an annual cowboy film festival honoring the great Western movies and TV series of yesteryear. At the end of each August, thousands of tourists flock to Kanab, Utah hoping to meet and greet their favorite actors from shows and movies like Cheyenne, Grizzly Adams, The Virginian, and more. There are also plenty of family fun events around the theme of pioneer and cowboy days. 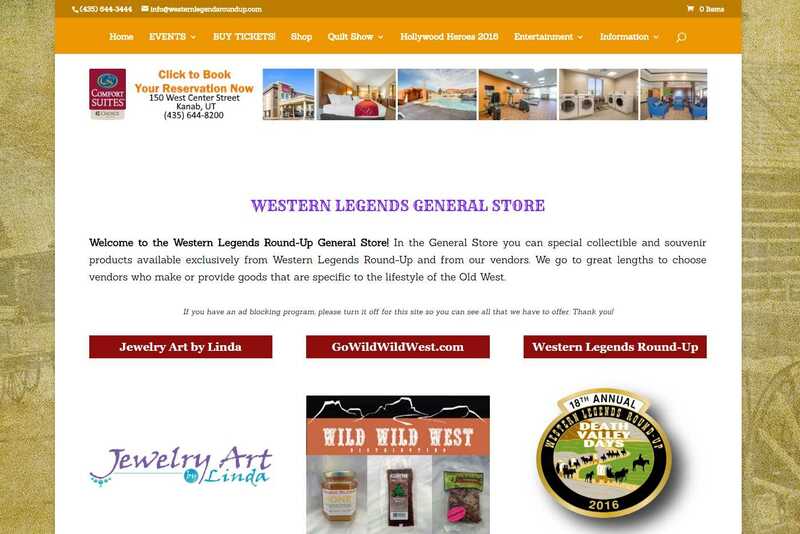 The Western Legends RoundUp board members called on Webidextrous to help them modernize the website and ensure that it would always be up-to-date. They also wanted to start selling event tickets online through an eCommerce solution instead of requiring people to download, print, and fill out a tickets order form and then using the contemporary equivalent of the Pony Express (i.e. the U.S. Postal Service) to relay the message. 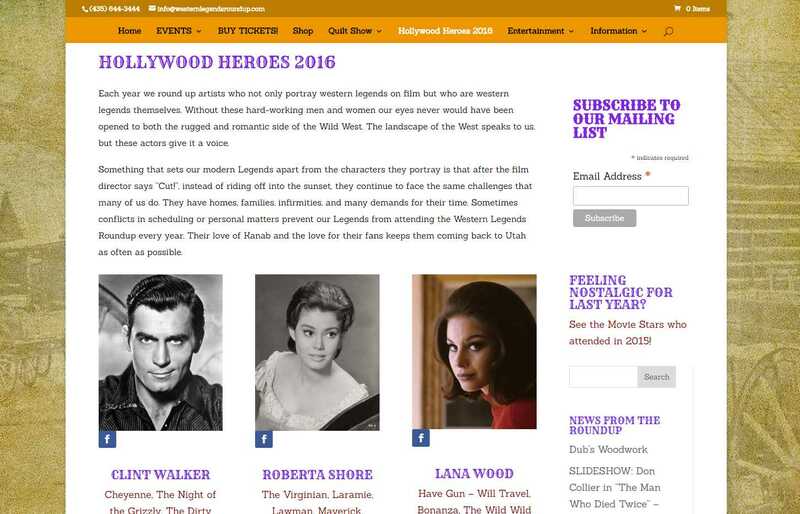 Webidextrous built a custom WordPress CMS for Western Legends Roundup. We filled it with all sorts of goodies like an events scheduling manager with a front-end display of events by activity, date, or entertainer and a connected event ticket purchase function so those poor ponies could have a rest. 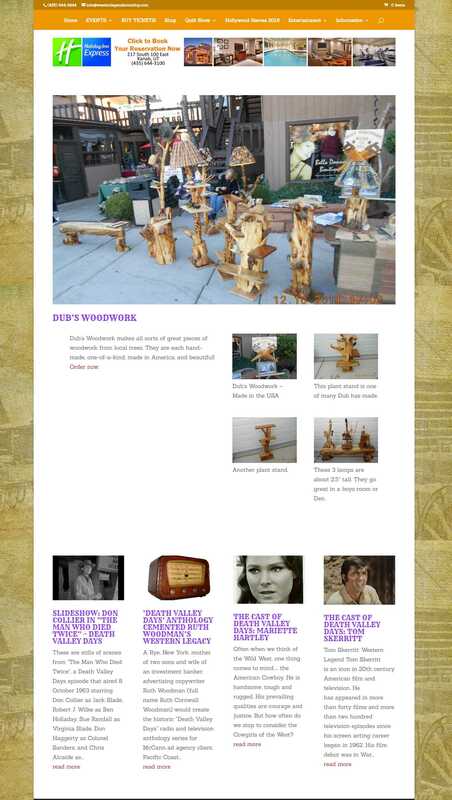 As development progressed, Western Legends employees and volunteers were able to review a development, testing, and live version of the site so they could know at a glance when something was ready and when something was being put through quality assurance, or was nearly finished. 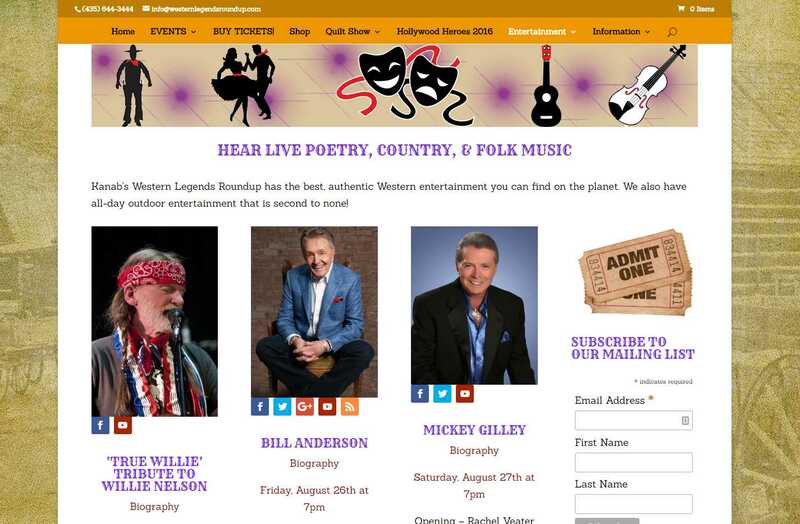 WesternLegendsRoundup.com outgrew its $5/month hosting and needed a more secure and reliable home. Webidextrous moved the site to our secure and robust cloud hosting service. It is ringed by multiple layers of security such that even the most determined hackers can’t get in. Customer data is sacred, no matter what is being sold or published, and we want to keep it that way for Western Legends just as much as we would keep it that way for a large enterprise. Webidextrous didn’t stop there! We actually showed up to the event to do photography and video recording so that we’d have more visual marketing materials to apply to the promotion of the event in 2016. 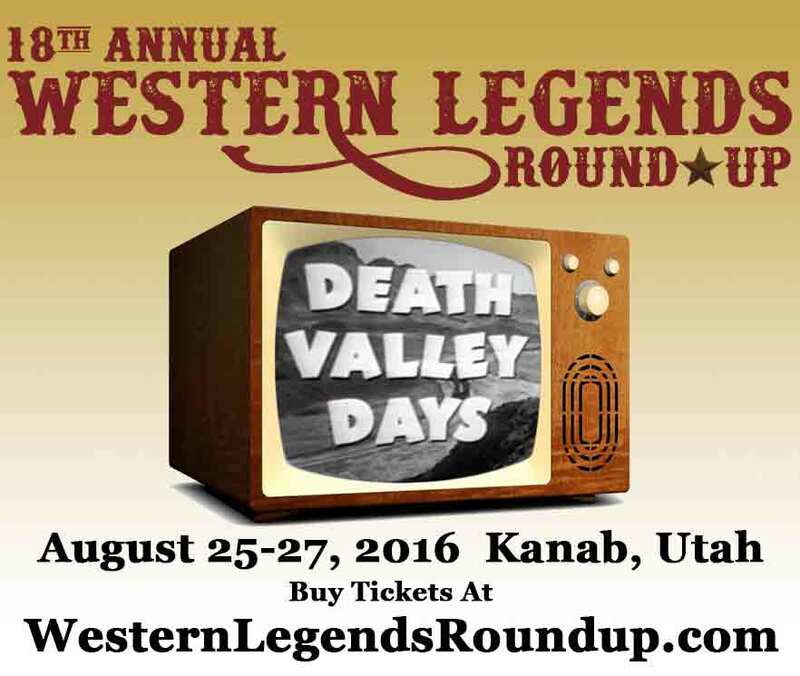 Oh, and did we mention that as a result of the improved website, Western Legends had a banner year in ticket sales and attendance?